It might be difficult to leave the Cape once you’re ensconced at the Seadar Inn, but if you’re looking for a day trip over the bridges, while still being on the water in a beautiful seaside community, the 90-minute drive to Newport, Rhode Island is as good as it gets. 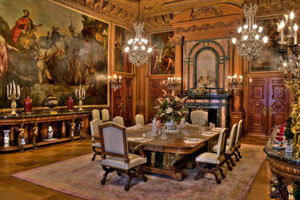 Museums, mansions and music. It’s all there. So is waterfront dining that ranges from casual clam shacks to upscale establishments, along with nightly comedy shows, and, depending on the time of year, a multitude of music and art festivals. 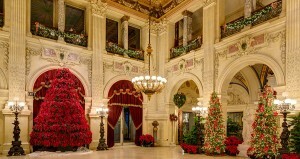 The Breakers; photo via website. Any trip to Newport should include a tour of the magnificent mansions on Bellevue Avenue, where the Gilded Age is on display in all its opulence. The Breakers, which dates to the late 1800s and was owned by the Vanderbilts, is the most luxurious, but if you’re looking for something a bit different, take the servant’s tour at The Elms. Here, you’ll be given an enthralling behind-the-scenes peek at how the workers at the mansions lived, and the many ways in which their fabulously rich owners shielded them from public view. Within walking distance of the mansions is the International Tennis Hall of Fame, where a museum honoring the game’s greatest players sits alongside emerald green grass tennis courts. There are nearly 2,000 objects on display, along with interactive exhibits and opportunities to test your knowledge of the sport. The Elms; photo via website. Newport is a great walking city, and also nearby is bustling Thames Street, where you can shop ‘til you drop and then duck into any number of places for lunch and a cold beverage. The Red Parrot, which opened in 1898 and is on the National Register of Historical Places, is ideal for a burger and a beer. If you’re seeking water views, head to either Bowen’s Wharf or Bannister’s Wharf, where you’ll find cobblestone paths lined with unique boutiques, cozy eateries and exquisite galleries located right on the yacht-filled harbor. For a quintessential local, lively experience, head to the Clarke Cooke House. For something quieter and more romantic, 22 Bowen’s offers premium steaks and fresh seafood in a classic harborside setting. And the Midtown Oyster Bar, although not directly on the harbor, is the place to go for raw oysters and littleneck clams. Clarke Cook House; photo via Resy. You could also take a tour of the Newport Craft Brewing & Distilling Co., which was the first production craft brewery in Rhode Island, and has since created more than 100 distinctive beers. Newport is also home to a thriving live music scene. Check out Norey’s on Broadway, which always attracts a lively crowd. In need of exercise, head to Cliff Walk, a stunning 3.5-mile trail that combines the natural beauty of the Newport shoreline with the architectural history of the Gilded Age. 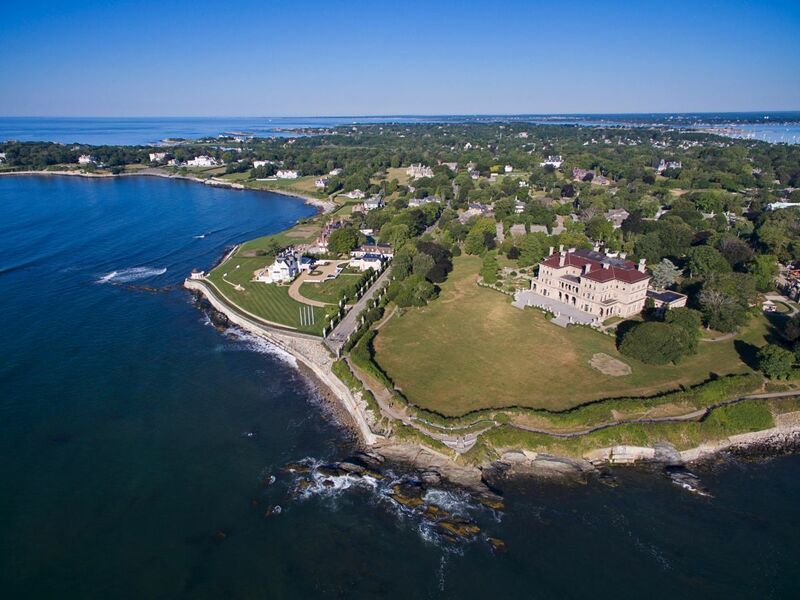 Along the way you’ll be treated to eye-popping views of the rocky coastline while passing the equally dazzling Newport mansions. Cliff Walk; photo via Visit Rhode Island. Feel like driving instead? Head to Ocean Drive, also known as Ten Mile Drive. This scenic journey encompasses most of the southern coastline of Aquidneck Island and offers stunning coastline views. During the drive you’ll pass Hammersmith Farm, site of President John F. Kennedy’s wedding to Jacqueline Bouvier in 1953. Castle Hill Inn & Resort, one of the prettiest spots anywhere to enjoy a beverage, is also en route. Order a craft cocktail, settle into an Adirondack chair on the lawn and soak in the fabulous view. Or maybe you’d just like to be driven around? If so, hop aboard a trolley tour for a 90-minute journey through the city, hitting all the major sites. 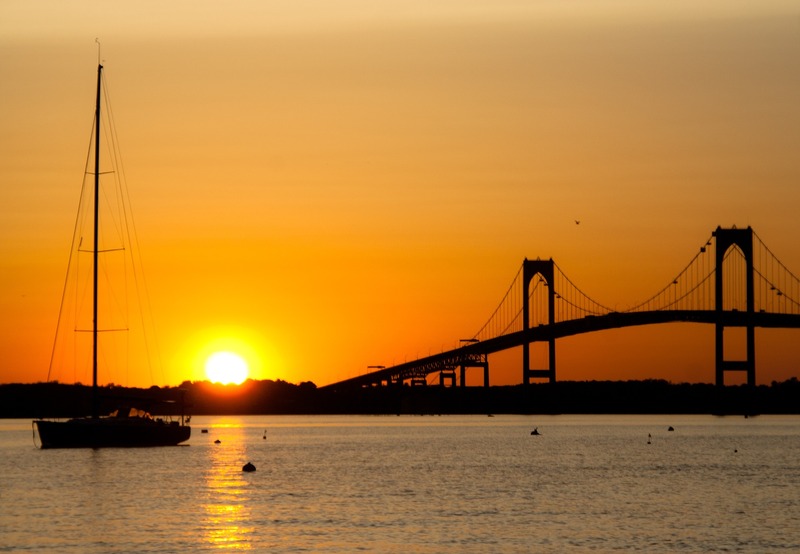 Like the Cape, Newport attracts visitors from around the world to its gorgeous seaside setting. But in its own way, it has a unique historical atmosphere that is vibrant and intriguing throughout the year. So, whenever you’re on the Cape, Newport can still be a wonderful day-trip destination.